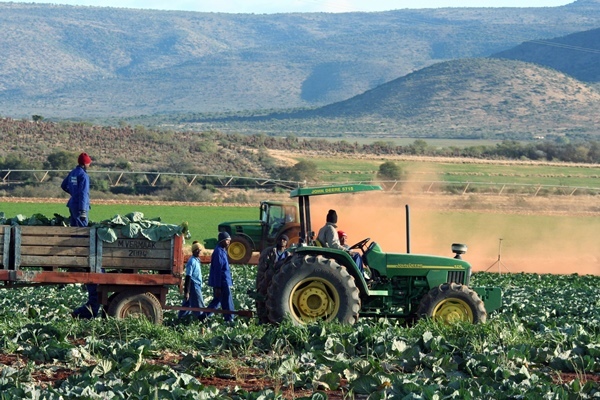 A farmer, along with his workers busy harvesting cabbage. The party calls on the DA-run municipality to take seriously a demand for land by residents of the Western Cape town. The African National Congress has condemned what it said was a failure by police to act against a local farmer who brandished his firearm at protesters in Greyton in Western Cape province. The party said tensions are escalating fast in the area, and urged the local municipality, run by the Democratic Alliance, to take seriously a demand for land by residents of the Madiba Park informal settlement. The residents’ protest had angered the farmer, prompting him to get out of his vehicle and remonstrate with the protesters while holding the gun, ANC Western Cape secretary Faiez Jacob said. He slammed the farmer’s behaviour as outrageous and meant to intimidate black people. “We demand that police put an end to this kind of behaviour, which is so reminiscent of apartheid South Africa. We demand an investigation into the police’s inaction,” Jacobs said. Jacobs accused the municipality of cutting water supply to the settlement, after removing toilets at the weekend.